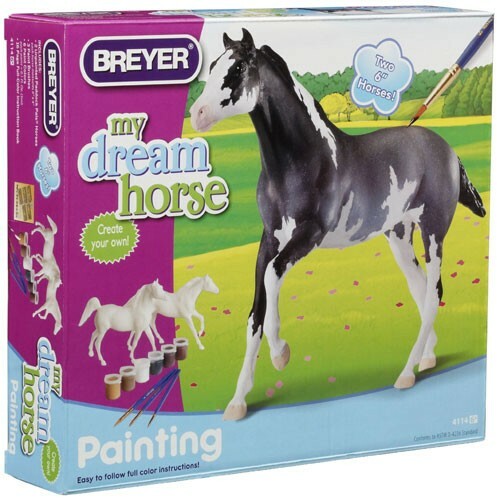 Encourage budding artists to explore their talent with this Paint-Your-Own horse kit by Breyer. 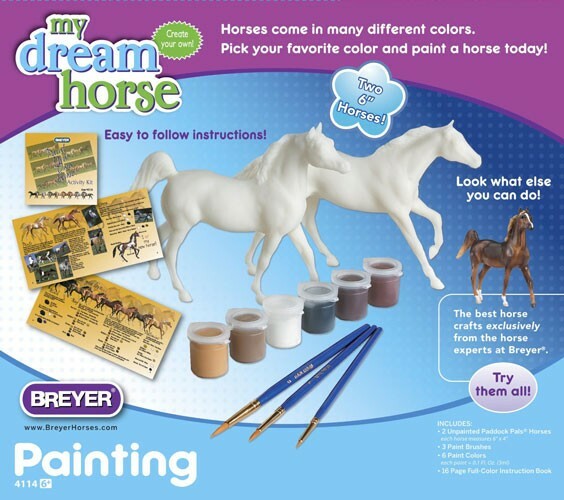 In addition to 2 realistic horse models, paints and paintbrushes, the kit includes an instruction manual that features photography of actual horses, providing the artist with visual instruction for creating a life-like replica. All this kit needs is the touch of a young artist.